For more information visit the Poison Billiards Poison Billiards. 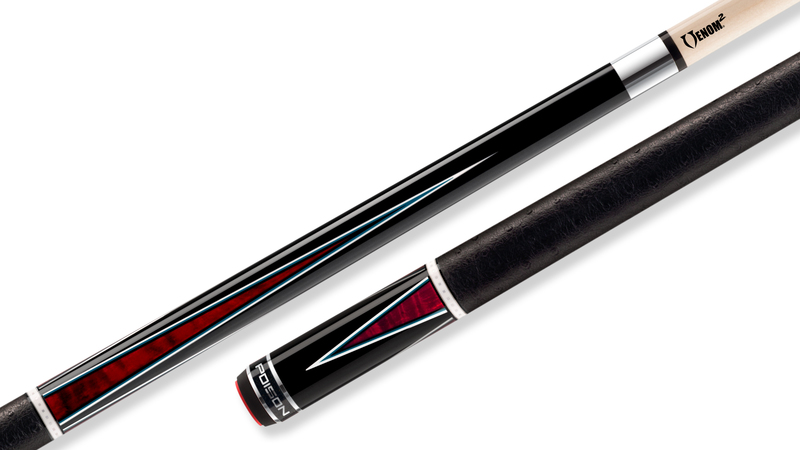 The Poison 3rd Generation Arsenic cues deliver the perfect combination of old and new. 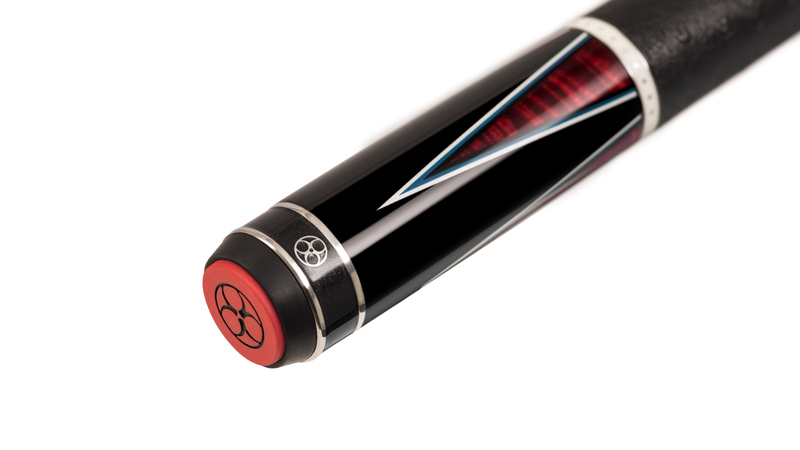 Distinct details and premium technology and materials allow each cue to have its own spin on style and play-ability. The AR3-3 delivers style with beautifully stained Curly Maple points, white and silver inlayed rings, and an ostrich style wrap. 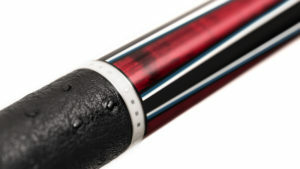 The AR3-3 has the Bullet joint and the Venom2 low deflection shaft. Advanced In Design. Winning In Style.